Austin Mystery Writers were in a dither over a visit by Grand Pooh-Bah Emerita this week. Gale Albright supplies the gripping details. 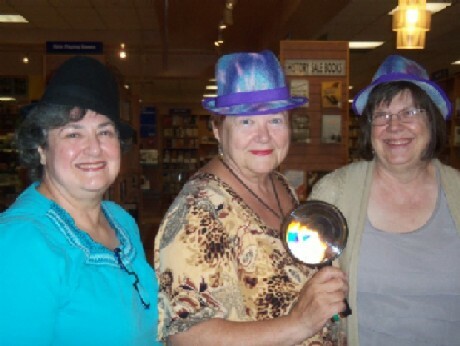 The members of Austin Mystery Writers were clustered at their literary haunt in the BookPeople café on Thursday morning, eagerly awaiting the arrival of famed author and Grand Poobah emerita Kaye George. I need not have worried. 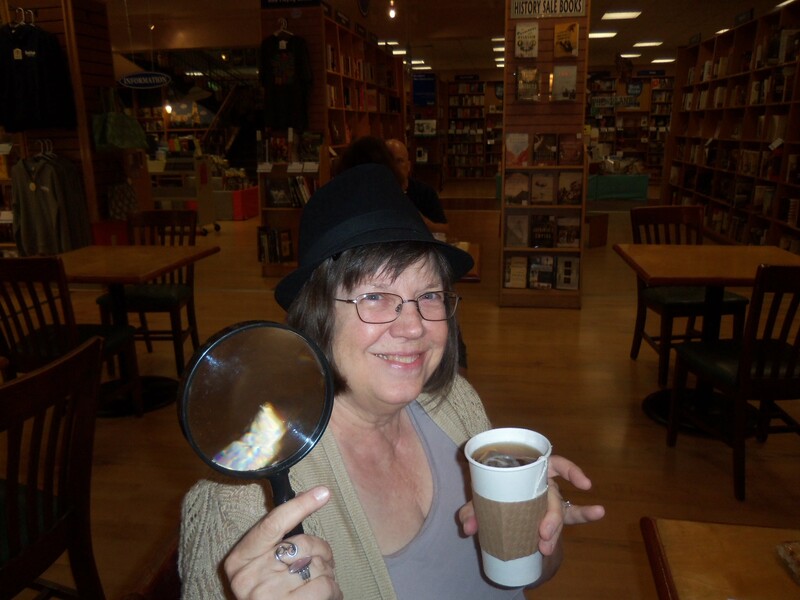 With all her usual charm and warmth, Kaye George appeared wearing a big fedora, carrying a giant magnifying glass, and blinding us with her dazzling smile. We had missed Kaye George. Once a guiding beacon in AMW in Austin, she had moved to Waco, then Knoxville, Tennessee, too far away to attend the weekly critique group meetings. However, that didn’t stop Kaye from being an active participant in AMW. She’s still a major player in the group, we’re glad to say.